These Anise Bread are done in a traditional Moroccan food recipe. Dissolve the yeast in ¼ cup of the water. Add the sugar or honey and let stand 5 to 10 minutes. Add the remaining water, oil, anise, salt, and 2 cups of the flour. Gradually stir in the remaining flour until the mixture holds together. On a lightly floured surface, knead the dough until smooth and elastic, about 10 minutes. Place in a greased bowl, turning to coat. Cover loosely with a towel or plastic wrap and let rise at room temperature until double in bulk, about 1-1/2 hours. Divide in dough half. Shape each piece into a ball, cover, and let rest for 10 minutes. 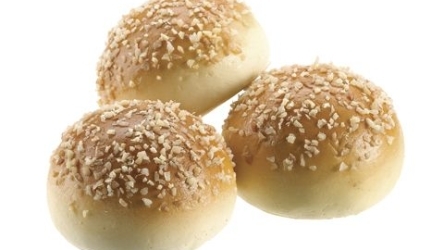 Grease a baking sheet and flatten each dough ball into a 6-inch round. Place the rounds on the prepared baking sheet, cover and let sit 10 minutes. Prick the dough around the sides with the tines of a fork or a toothpick. 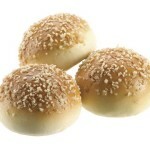 Brush the tops of the loaves with the egg white and lightly sprinkle with the sesame seeds. Bake until golden brown and hollow-sounding when tapped, about 30 minutes. Transfer to a wire rack to cool.